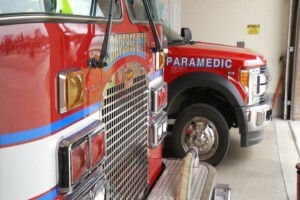 The Traverse City Fire Department is earning high praise from the Insurance Services Office. The ISO scores fire departments on how well they protect the community they serve. The scores range from 1 to 10, with a “1” being the best score a department can receive. This year Traverse City Fire moves up from a 5 to a score of “3”. That puts them in the top 12% of fire departments in the country. The new score means homeowners and business owners with insurance could lower their rates with a call to their insurance company. Chief Tuller says the Fire Department doesn’t get all the credit. He says mutual aid agreements for services throughout the county have also helped, given short Traverse City firefighter staffing levels over the past ten years. And he says the efficiency of the water system and communications system both contribute to the ISO rating.